4 Rms w Vu. Susana H. Case. Mayapple Press. Woodstock, New York. 2014. There is nothing better than the powerful whisper-blow of Ben Webster's tenor and that is what we are listening to this morning in the Today's book of poetry office. It's -19 C or some other ungodly temperature outside. Every time Milo and I want to have a smoke we have to bundle up like explorers. We both end up looking like kids going off to kindergarten, everything but mittens on a string. But now that we are back here in our warm office and listening to Ben we can tell you why we are excited by Susana H. Case and her utterly vibrant 4 Rms w Vu, although given any sort of chance Case would handle that with aplomb. Case writes our kind of poetry. Her poetry is down to earth, wildly emotional but almost controlled, anarchy of the best kind. for carelessly leaving me in this fucked-up place alone. Case has no problem leading with her heart but be careful because she is coming for yours and she is a take-no-prisoners poet. 4 Rms w Vu takes the reader to the steppes of Kazakhstan, the Adirondacks, a car accident in Kansas and a new apartment in New York City. The last Inca ruler plays a part and so does Charlie Parker. Susana H. Case is an equal opportunity poet. But regardless of the setting she is always aiming for some new truth, a better understanding of the tumultuous relationships that make us human. While Case is striding through all this scenery the important consideration is how engaged you become as a reader, how invested you become in the outcome. Case is all about relationships but has no trouble at all blowing them up to get a better look at what was inside. And we get to go along for the frenetic ride. girls. Peaking late. Prom queens. knows exactly how to want. Case is trying, quite diligently, to break down all impediments to the truth in these narratives. These poems hit like a wrecking ball. 4 Rms w Vu reminds us here at Today's book of poetry of Maryse Holder's Give Sorrow Words, if only for a moment. Case has some of the same intensity of emotional clarity and frankly, some of the same female anger that compelled Holder. Today's book of poetry loved Give Sorrow Words and we are quite fond of Susana H. Case at the moment, we have nothing but admiration for any poet who is willing to put it all on the table. The best thing to die from is living. Let me kill myself slowly with pleasure. Let me dance round and round in circles first. Let me blow a lot of fuses. a car going 80 miles per hour. torture of those many years is compelling. the one James Dean got, only much later. Let me not surrender to humiliations. He'll have a life to live. Is a good life possible? Today's book of poetry thinks so and so does Susana H. Case, she just makes it clear it won't come easy or without bruising. It might leave a scar. Just like these poems. 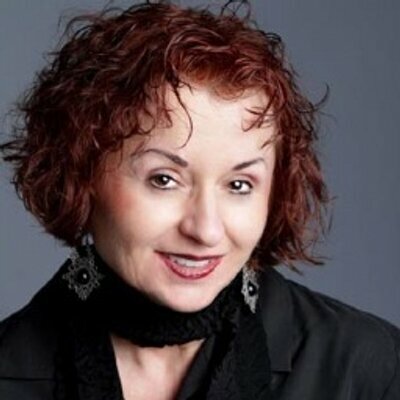 Susana H. Case is a Professor and Program Coordinator at the New York Institute of Technology. Her photos have appeared in Blue Hour Magazine, pacificREVIEW, and San Pedro River Review, among others. Author of several chapbooks, her Slapering Hol Press chapbook, The Scottish Café, was published in a dual-language version, Kawiarnia Szkocka, by Poland’s Opole University Press. Her previous books of poetry are: Salem In Séance (WordTech Editions), Elvis Presley’s Hips & Mick Jagger’s Lips (Anaphora Literary Press), and Earth and Below(Anaphora Literary Press). Please visit her online at: http://iris.nyit.edu/~shcase/. The poems in 4 Rms w Vu, like most of Susana H. Case’s work, demand full participation—no watching here—that we live in their apartments, wear their clothes, down to the “denier nylon.” At the end we’re a little shaken, but a lot wiser. Susana is a daring poet, not so much for the sake of issuing challenges, but more to the cause of poetry itself; she defies one to bring the whole body and soul, and deny no part of this experience called living. 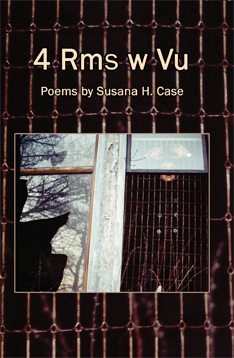 4 Rms w Vu is a poetic open house in which Susana H. Case guides us through the rooms of the heart. In poems addressed to husbands, lovers and parents, Case shows how the past, the curious details of daily life and wonderings about the future all weave together endlessly, how nothing is ever really lost—not a loved one, not a hurt—if you can remember. In her moving new collection, we see how this poet’s art is an act of holding on in language that is sure-footed. In these poems, Susana H. Case captures a vision of New York that can no longer be seen but in memory. Filled with characters frenzied by love, desire & hope, 4 Rm w Vu reminds us not only where we’re from but also who we are. the poetry anthology "Rabbit Ears"
Hive. Christina Stoddard. University of Wisconsin Press. Madison, Wisconsin. 2015. Christina Stoddard "brings the hammer down" hard. These poems are the flaming sparks you get from raising a hammer high and bringing it down hard on an anvil. And she doesn't miss a beat. Every time you turn a page in this spellbinding collection you can feel the heat. Stoddard is fully armed and taking names, and she is shooting in every direction. Hive is as rewarding a book of poetry as you'll find out there, this woman can burn. Stoddard grew up in the Mormon Church and she is not all that happy about it. These poems are brutal and beautiful, terrifying and exciting. One of the many things Today's book of poetry absolutely loved about Christina Stoddard's Hive is the sustain. Stoddard never takes her foot off of the gas. She pops these out of the park, page after page, like she was taking batting practice for fun. There is a dark menacing undertoad that rolls under these pages. Its a dark cloud hanging over the prayer you cannot retract. Stoddard controls all the momentum with the precision of a surgeon. The entire Today's book of poetry staff were sitting around our large central table this morning for today's read. Everyone seemed in a rather solemn, somber mood. We agreed that Stoddard did have a sense of humour but she is one tough nut. The laughs don't come often but the dazzle is always on. Every person in the room ate up these intense little diamonds because they are such perfectly articulated anger. Unanimous. while saying a stranger's name. In the water, I'm supposed to go absent. the parade of persuaded girls. I am weightless, light as a nest. has to hold me down. Christina Stoddard has a luminous career ahead of her. Today's book of poetry knows great when we see it. 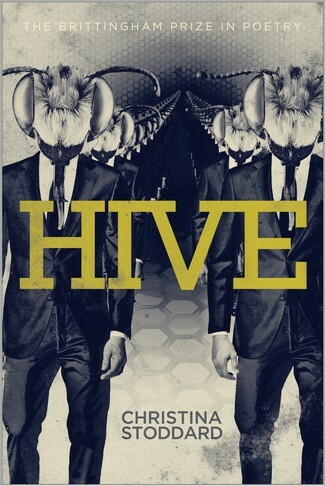 Hive questions faith in a world where faith is the beginning and the end to all things. In a world where faith means belonging and questions mean banishment/escape to the dark and foreboding woods. Stoddard response is to scream like she has been scalded. has finally let you see her naked. it is beautiful sometimes to be violent. she tired of waiting for it. to stand naked before a man. allowed there to be light. Today's book of poetry doubts that Hive was written in blood, but it sure seems that honest, it certainly feels that true. This is brave stuff. Stoddard had better be working on her next book or TBOP will be sending out our Poetry Swat Team to investigate. If Today's book of poetry handed out stars Hive would get them all. 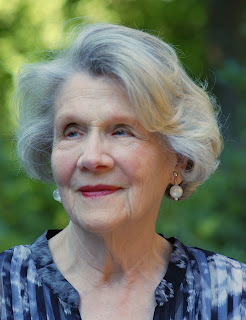 Christina Stoddard is the author ofHive, which was selected by Lucia Perillo for the 2015 Brittingham Prize in Poetry (University of Wisconsin Press). Christina’s poems have appeared in various journals includingstorySouth, DIAGRAM, and Spoon River Poetry Review. Originally from Tacoma, WA, Christina received her MFA from the University of North Carolina at Greensboro, where she was the Fred Chappell Fellow. 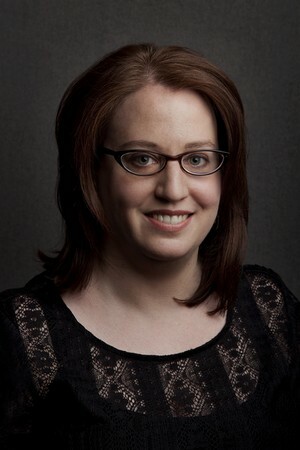 Christina is an Associate Editor at Tupelo Quarterly and a Contributing Editor at Cave Wall. She currently lives in Nashville, TN where she is the Managing Editor of a scholarly journal in economics and decision theory. A World Without End. Matthew Graham. River City Poetry Series, Vol. Six. River City Publishing. Montgomery, Alabama. 2005. Today's book of poetry is ready to fire our entire research staff. Try as they might, they came up short and almost empty-handed on Matthew Graham. We know that A World Without End was his third book of poetry. We will now send out our poetry swat-team to find those two early volumes. Today's book of poetry sincerely hopes there are other, newer books by Mr. Graham because we need more poets like him. These poems read like an Edward Hopper painting, you know exactly what you are seeing because the narrative is right in front of you, nothing abstract about it. You also know, right away, that somehow you are the wiser for it. Same thing with Graham. These poems are never sermons (some of our wisest poets fall for that), but he certainly is leading a lesson. Graham also has a finely tuned sense of humour. When I read "When I Was a Kid" to K last night she almost fell out of our bed. If I really want to know if something is good I read it to K, she has the best poetry barometer going. And the perils of Tarzan were his pearls. I'm still liable to dial 119. In the late 1950's they didn't know from dyslexia. And got your head slammed against the blackboard. It made me humble and afraid to write. It made me a quiet person on paper. And forget about foreign words. I was a female professor. And translate as best we can. 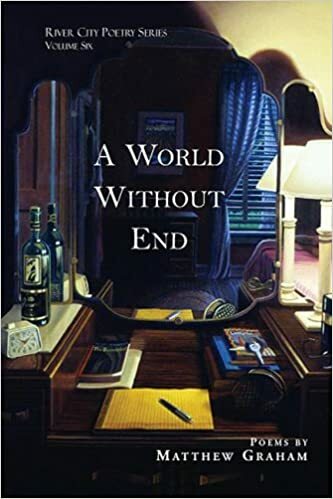 The cover art for A World Without End is a painting titled Before The Storm by Graham's wife, the painter Kathryn Waters and it is stunning. Our intern Kathryn said that she'd happily kill our office techno-wizard Milo for that painting. 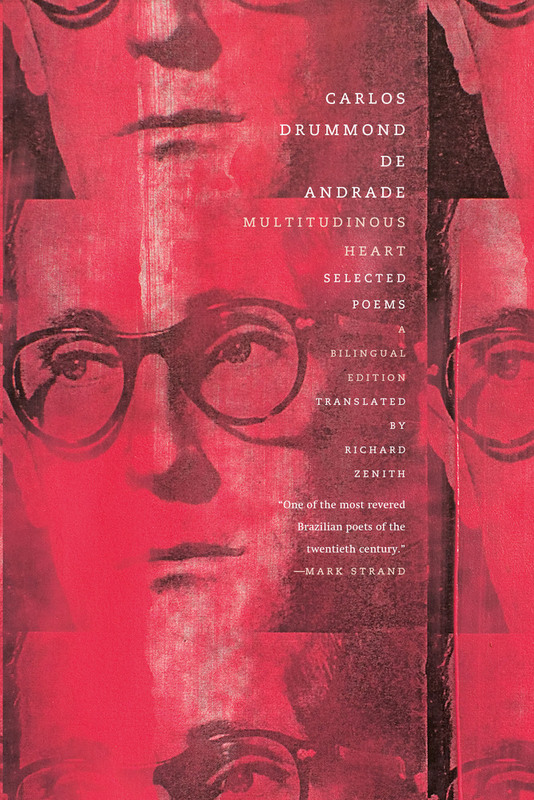 The rest of us thought of the painting as forbiddingly tender, much like many of these excellent poems. Slipped away from a very small star. Today's book of poetry was a hopeless romantic mess when reading some of Graham's poetry. 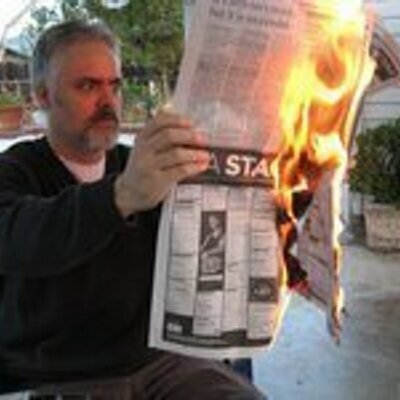 His eulogical poem "News", dedicated to the late Richard V. Hyatt, misted up my glasses something good. Matthew Graham's poems make the reader trust the poet. 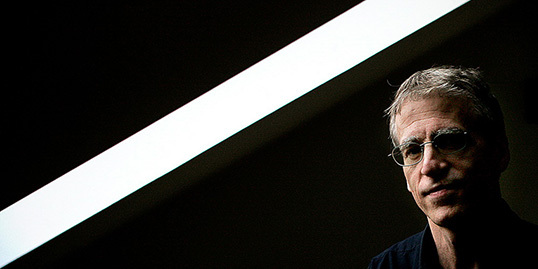 In a "lead, follow or get out of the way" world Graham is someone you'd happily follow. He's not shouting directions, his poems simply exude confidence, clarity and wisdom. Who wouldn't follow that guy. The clapboard cottage swept clean. Beneath the sheer curtains of June? There are no boats on the water today. Today's book of poetry sometimes feels that my selection of three poems is inadequate and today is one of those days. I have to confess that the three poems I've chosen are not the best three poems from A World Without End. The three I choose today spoke directly to me and I loved them too much not to share. It happens. fullness of time, inevitably ends, even if the lovers never falter in their loving. 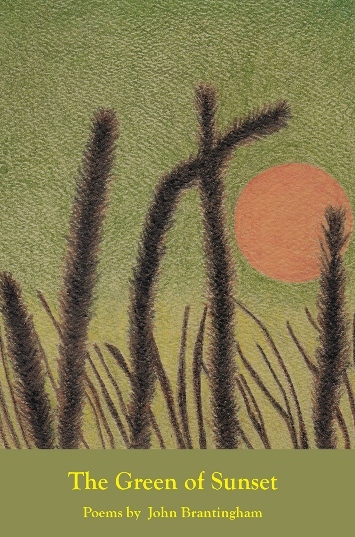 MATTHEW GRAHAM is the author of two books of poems, New World Architecture (Galileo Press, 1985) and 1946 (Galileo Press, 1991), and the recipient of awards and fellowships from the Academy of American Poets, the Indiana Arts Commission, Pushcart, and the Vermont Studio Center. His poems have appeared in Harvard Magazine, River Styx, and Crab Orchard Review, among many others. He directs the creative writing program at the University of Southern Indiana, where he co-directs the RopeWalk Writers Retreat, and is poetry editor of the Southern Indiana Review. Graham lives in Evansville, Indiana, and is married to the painter Katie Waters. "A World Without End is masterful. The pitch of these poems is nearly perfect -- in the way that the poems of Weldon Kees and Donald Justice (two elegant and dour muses hovering behind this book) are nearly perfect. A reader feels that nothing is missing and that there is not a single extraneous syllable. More than this, I admire the maturity and intelligence with which Matthew Graham treats his book's subject: history and its failures, cruelties, oppressions. Beneath the beautifully modulated images, beneath the insouciance which is Graham's brand of stoicism, the bottom has fallen out of the world and the serpents of history hiss. In poem after poem, one is lulled by the beauty and surprised by the brutality. This is a quietly remarkable book." "Matthew Graham has been one of the best and the most indispensable poets in America, about America: the dogs of America, the people, the weather, our possessions and our places, the vast matter of what we can and what we cannot afford. In a world where you can hear James Wright singing back-up with Hank Williams, Matthew Graham has a light, tender and elegiac touch that is all his own. Every fine poem here forks over a little wound, and we are better for having had the heard and wit to absorb it."